Yes, DebianSqueeze has been released! Feel free to add your squeeze release party to this list to let others know about your local ReleaseParty to celebrate the event. When: February 5th, 2011. Time to be announced. What: Drink beer, Chat, Burn CDs. Bring: Money, Laptop, CDs, and Good mood. Where: The Earl of Leicester, liars bar. Bring: Fingerprints and ID if you want to do keysigning, otherwise some money for drinks and or food. Several folks attended; Gary, Paul, Ash, Julia, Nick and Alastair. We had a few beers, discussed Debian squeeze and demoed it, discussed the new Debian website, motorbikes, LCA, PLUG stuff, open mobile bits and more. Also see: Debienna (local group in Vienna, Austria). What: A nice dinner after FOSDEM closing doors on Satuday. Participants list to the ReleasePartySqueeze/Belgium/FOSDEM. Please add your name below if you'd like to participate to a Debian dinner at http://madamolsen.be/ on FOSDEM 2011 Saturday night, to party in honor of the release of Debian Squeeze. It was a very nice event, and i want to thanks all Debian team for their work. Cuando: Sábado 5 de febrero de 2010 hasta domingo 16. Donde: En el Hacklab ubicado en la ciudad de La Paz. Bring: En lo posible: laptops, dinero, modems con conexión a internet, comida, algo para compartir. Obligatorio: ganas de divertirse, buen humor :). What: Drink, talk, contributing to Debian discuss and party! When: February 5th, 2011 - 16:00h. When: February 5th, 2011, 20h30m. Where: Curitiba, Joe Banana's das Mercês. Avenida Manoel Ribas, 552. What: Drink, food, talk, meet Debian users. When: February 4th, 2011 - 19:00h. Bring: Money and laptops, optionally. What: Just nerds celebrating the Debian Squeeze release and talking about free software. Bring: All you want and let's celebrate the freedom and the Debian! 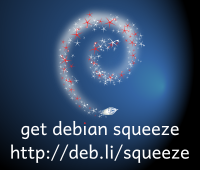 O quê: Somente nerds festejando o lançamento do Debian Squeeze e trocando idéias sobre o lançamento do Debian Squeeze. Trazer: O que quiser e vamos celebrar a liberdade e o Debian! Bring: Laptop and the Sheldon Cooper that lives into you. Bazinga! When: 5th February,about 7 p.m.
Bring: Money, Laptop, CDs/USB-drive and Good mood. Where: Nacimiento, Exact location not decided yet. When: February 5th - 7PM. What: Dinner, maybe drinks later. What: drink, talk, play, party! What: Party in a large Hackerpace! We have Mate and Internet. Bring: Some Salad, etc. if you want. When: 5 feb 2010 10:00 A.M. 5th February, about 10:00 A.M. / 5 de Febrero, desde las 10:00 A.M.
Where: Biblioteca Central USAC, Fourth floor / Cuarto nivel de Biblioteca Central. What: Talks, food and drinks / Charlas, comida y bebida. Bring: GPG fingerprints and whatever you want (Bring money to help pay the bill). / Tus "GPG fingerprints" y lo que quieras. When: February 6th 2011 at 5.30 PM. Where: Vivek Varghese Cherian (GNU/Linux Users Group, Mumbai, India), 9/B Vikas Finlay Towers, Parel Tank Road,Lower Parel,Mumbai. What: Install Fest, (GPG Keysigning Party), Cake Cutting. Please add your name below if you'd like to participate in the Debian release Party in Mumbai on 6th February 2011 at 5.30 PM. What: Talk about debian, distribute debian DVDs, Drink, eat sweets and chocolates! What: Talk about debian, distribute debian DVDs, eat debian cake! Quando: domenica 6 febbraio 2011 dalle ore 19:00 in avanti. Cosa: brindisi a Debian 6.0 Squeeze! What: Debian Squeeze partuza... Cerveza, música y puro Debian. Bring: traer algo para tomar, CD's virgen para grabarse, ganas de debatir y divertirse. Where: str. Cosmonauților 9, Linux Inet club. What: O să discutăm despre notele de lansare, vom instala pe câteva laptopuri Debian Squeeze cu KDE, GNOME. Cuándo: Sábado 05 de Febrero, 10:00 hrs. Qué: Descarga, instalación, convivencia, compartir experiencias. Trae: Tu equipo de computo y ganas de convivir. Cuándo: Sábado 12 de febrero, 16:00 hrs. Qué: Firmado de llaves GPG, música, ¡cerveza!, pláticas, instalación. When: Sábado 05 de febrero, 15:00 - 21:00 hrs. Bring: Laptops, netbooks, computadora, etc. More info: If you have cuestions, ask to "adaciuk _at_ gmail _dot_ com"
When: 5th February, 6 p.m.
What: beer party, what else ? 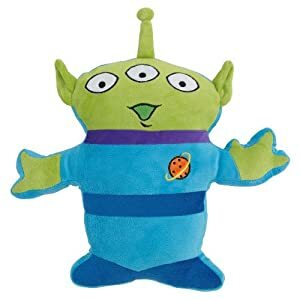 Bring: money to pay the dinner! Note: Since previous owner doesn't seem reachable, we decided to hijack this party to our newly rebuilt hackerspace. All welcome. Bring: equipment to install Debian on, any extra install media helpful, any Debian t-shirts/banners/etc if you have them! More info: Install your Debian, drink your beer, eat your food, stay for the Superbowl game day events beginning at 5:30PM. Depending on how many people show, I can see about working out arrangements for food and drink. Please fill out this poll to let us know how many are coming. The location has free wifi. Where: The Flying Saucer 101 East 13th St.
More info: shane@par-due.com, Look for the Debian balloon! What: Squeeze Installfest & party timed to coincide with the Super Bowl. A TV, food/beverages, and a Debian mirror will all be present. Who: Everyone in Debian-NYC is pre-approved, as are their significant others, though RSVPs would help planning. Anyone else who wants to come or lacks location/contact info should ask (see below); most people will be welcome until space fills up. What: Food, drinks, and installing Debian. Bring: blank cds, cd burning capable laptops, and good cheer! What: Caña, Rock y Troleo. Bring: Dinero para las cervezas. Precios solidarios. When: 5th February, about 6 p.m. / 5 de Febrero, desde las 6:00 p.m.
Where: El Solar del Vino (Terraza). Final Avenida Blandín con Av. Avila, La Castellana, diagonal con la Torre Corp Banca. What: Drink beer, Pizza, talk. / Curdas, Pizza, Conversar (No limitativo). Bring: Whatever you want (Bring money to help pay the bill). / Lo que quieras (lleva dinero para ayudar a pagar la cuenta). When: El 5 de febrero, alrededor de las 6:00 pm | Around 5th February, about 7 p.m.
Where: Residencias Habizum, al lado de la estación de servicios de Beto Petrol del Colegio de Abogados. Bring: Una fiesta de Traje.. 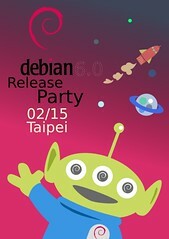 There will also be a distributed release celebration on the Debian Party Line, a mumble-based voice chat.